The rumor making the rounds that Karisma Kapoor’s estranged husband Sanjay Kapoor is marrying for the third time. If reports are to be believed, Sanjay Kapoor is all set to tie the knot with an Indian model Priya Sachdev. The duo have been dating each other for couple of months and have decided to take nuptials in April this year. Reports also say that the wedding will take place in New York with close family members and friends only. Sanjay Kapoor’s first marriage was with a designer Nandita Mahtani. Then he married to Karisma Kapoor for 13 years. Sanjay Kapoor and Karisma Kapoor got divorced in June last year. The couple have two kids together Sameira and Kiaan. After divorce the custody of kids was granted to Karisma Kapoor. 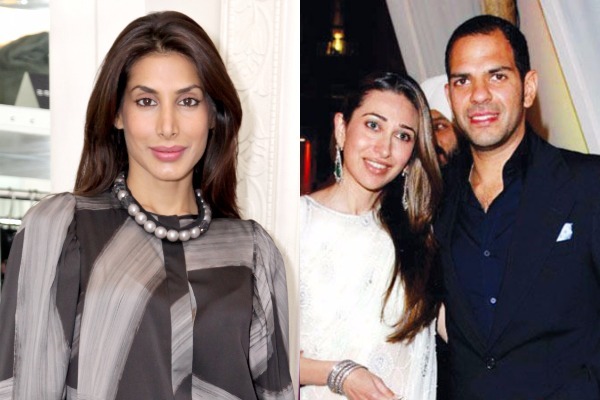 Sanjay Kapoor’s rumored girlfriend Priya Sachdev is a former wife of NY hotelier Vikram Chatwal. Talking about Lolo, she is in a steady relationship with businessman Sandeep Toshniwal after separation from ex-husband Sanjay Kapoor. Rumors has it that Karisma is engaged with her beau Sandeep as there is a big diamond engagement ring seen on her finger. It’s pretty much clear that both are moving on in their lives.